EPRUI Biotech Co. Ltd now launches new product: Nano Hydroxyapatite. We supply nano hydroxyapatite with high quantity and more types for different applications. 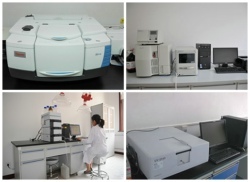 As raw materials for medical, it meets the requirements of ASTM F1185 and ISO 13779. 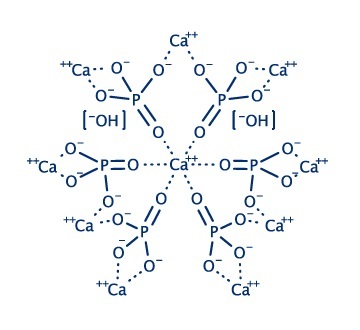 Hydroxyapatite, also called hydroxyapatite (HA), is a naturally occurring mineral form of calcium apatite with the formula Ca5(PO4)3(OH), but is usually written Ca10(PO4)6(OH)2 to denote that the crystal unit cell comprises two entities. Hydroxyapatite is the hydroxyl endmember of the complex apatite group. The OH− ion can be replaced by fluoride, chloride or carbonate, producing fluorapatite or chlorapatite. It crystallizes in the hexagonal crystal system. Pure Hydroxyapatite powder is white. Naturally occurring apatites can, however, also have brown, yellow, or green colorations, comparable to the discolorations of dental fluorosis. Nano Hydroxyapatite is a raw-materials for medical use, pathology, supplement, archaeology, cosmetic, animal structure and potential uses in materials science.